Rare opportunity! Don't miss out on this 3 bedroom 2 bath condo in sought after Horizons at Stonebridge Neighborhood. Split floor plan offers spacious family room and dining room. 42" Maple Cabinets in the kitchen with extra counter space complete with all the appliances including washer and dryer. Sit out and enjoy your morning coffee or evening beverage on the screen enclosed covered patio. Community features private gated entry, sparkling pool and fitness center. Location benefits include minutes from Universal Studios, Millennia Mall, International Drive and 15 minutes to Disney. 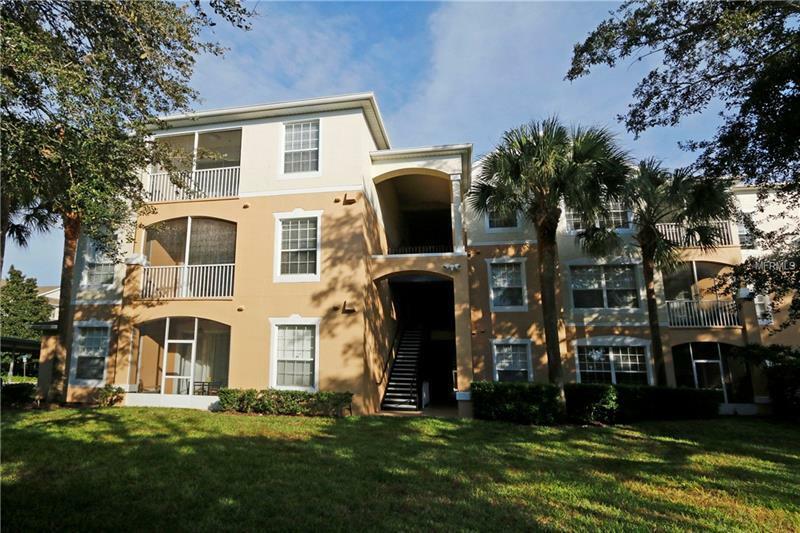 Easy access to Downtown Orlando, SR 408, Florida Turnpike, SR 429 and I-4.